I recently tried different keystrokes to regain control of my mouse/keyboard from parallels, and I pressed something that cause my Mac to start shutting down. It didn't prompt me to confirm that I wanted to shutdown my Mac, it just started closing applications for the shutdown. 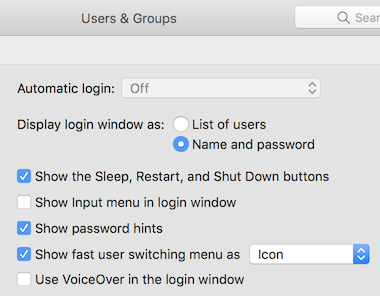 Question is there a way to require that the use respond to a confirmation dialog before shutting down / restarting their Mac? Additional info- I was multi-tasking at the time, setting up a Linux KVM host , a Raspberry Pi image , among other things. I almost lost all of my work so I would like to put in a safeguard against accidentally restarting my Mac. More than likely, you hit Control⌘ Command and the ⦿ Power button . That's the only keyboard combination that will force restart a Mac without asking you to save unsaved documents. The only other way to shut down a Mac without it prompting you is to hold the ⦿ Button for 5 seconds. * Doesn't apply to keyboards that have a Touch Bar. The simplest way to prevent a restart with the fewest resources is to enable fast-user switching and open an active login session. Not the answer you're looking for? Browse other questions tagged mac parallels-desktop . I deleted iMovie by accident, how can I get it back? How to prevent CMD key in Parallels Desktop 9 from switching to Windows 8 start screen? 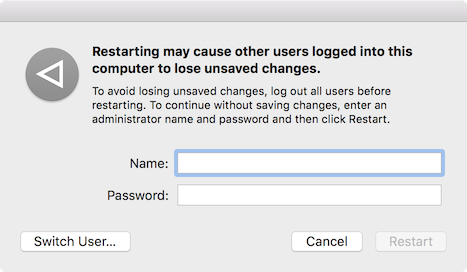 How can I keep my Mac from restarting?